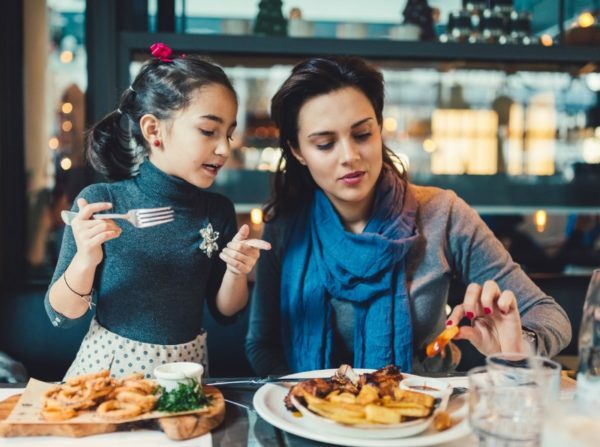 Ask any parent of small children and they’ll tell you about the daily struggle that’s getting their little ones to get their kids to eat healthily. We try and sneak it into their meals, resort to bribes or end up having a Mexican standoff with our fussy eaters just to get them to eat a mouthful. But then I realised I only have myself to blame. My eldest son was the most fantastic eater when he was really little. He ate any vegetable you gave him and shoved broccoli into his mouth by the handful. Then he learned to speak and assert himself, and we (unfortunately) exposed him to a wider range of ‘treat’ foods. After tasting hot chips, sugary biscuits, lollies, hot dogs and chocolate, broccoli got the boot. He’s seven now and only eats a couple of different vegetables and fruit, generally after I’ve had to enforce it. His younger brothers both eat pretty well, but as I’ve strived to make mealtimes easier by only offering the vegetables I know my eldest will eat, I can see their taste for vegetables diminishing to include fewer and fewer varieties too. I’m a firm believer in balance and am not opposed to the occasional treat, but when I stopped to think about it those ‘sometimes’ foods had slowly become ‘regular’ foods. It’s no wonder my son kicks up a fuss about eating a salad when there is a chocolate yoghurt in the fridge he’d much rather eat. Or when I try to feed him carrot sticks as a snack instead of the packet of Shapes he can see calling out to him from the pantry. In our efforts to save time or give our kids a treat, we’ve managed to let the situation get out of control. When did we become restaurant regulars? As a society we also eat out or get takeaway way more than previous generations. As a kid we’d have to wait until it was someone’s birthday before we’d get to eat out. But what was once something special for me, has become commonplace for my kids. They don’t view dinner at a restaurant or lunch at a cafe as a treat because we take them out so often. And what do you eat when you go out? Chips, pizza, nuggets, ice-cream and milkshakes. I love vegetables and all kinds of healthy food, but like most busy and sleep-deprived parents I reach for the ‘naughty’ foods to fill – and pick – me up. I’ve realised my own dietary habits have become worse than I’d like to admit. I’m so busy with the kids and working that it’s often easier to order a pizza rather than make one from scratch. Not only are the kids eating these same foods, but they are watching their parents eat unhealthily too. How can I expect them to do as I say and not what I do? Is it time to ditch the junk altogether? Nope, I’m not saying that at all. In addition to being a good role model for your kids, I think the solution is to go back to making treats exactly that – something that you save for special occasions. Don’t stock your cupboards with processed junk, opt for healthier convenient options, try to make your own freezable snacks where possible, so you not only know exactly what goes into them but you’ll also have snacks on hand for those hectic days. I know it’s hard when both parents are working and making meals is a chore, but if you can plan ahead and shop online for groceries then you’ll be less inclined to eat out or offer up something unhealthy. Next time your child is turning their nose up at their veggies stop, take the time to question what your own eating habits are like around them. What kinds of foods are you storing in your fridge and pantry? You – like me – might be surprised at just how unhealthy they’ve become. Do you struggle getting your child to eat their vegetables? Tell us your tips on Facebook.